The Reserve staff assignments are rotated every three years. Reserve officers are required to attend a monthly training meeting and work a minimum of one ten hour shift per month in order to stay in good standing. Reserve officers meeting the minimum requirements receive a small stipend and a uniform allowance. Reserves work many different assignments within the department. Working as a partner officer in a patrol car and special events assignments are primary responsibilities. Reserves also work bicycle patrol, foot patrol, crime scene protection, narcotics, prostitution stings, stake-outs, DUI checks, parades, prisoner transportation, rangemaster, gang details and public relations assignments. Additionally, Reserve Officers work as actors for K-9 training, SWAT exercises and reserve academy training. 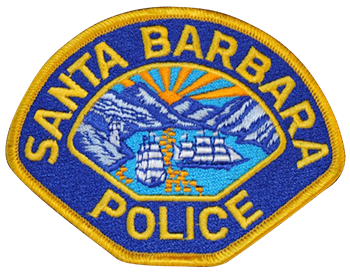 Reserve officers donate an average of over 200 man-hours per officer each year to the city of Santa Barbara. Each year, Reserves are recognized for their service at an annual Reserve Appreciation Dinner that is sponsored by the department. The Reserve Corps consists of men and women from widely varied backgrounds and careers. Many SBPD Reserves go on to become regular full time officers with this and other departments. This is exemplified by the fact that over 20 percent of the active SBPD regulars were California reserve officers at one time and most of them with the SBPD. Because of this turnover the department runs an average of one reserve academy per year.